KUCHING: A joint committee is proposed to tackle the issue of dilapidated schools in Sarawak with the participation of both Ministries of Education from the State and Federal Governments. Padungan assemblyman Wong King Wei said the proposal was agreed in principle by Assistant Minister for Education, Science and Technological Research Dr Annuar Rapaee who interjected him with the issue during his debate on the Supply Bill 2019. “I will write a letter to propose for the joint committee to the Deputy Minister of Education Teo Nie Ching next week,” said Wong to a press conference at the media centre of the State Legislative Assembly building today. The committee he said is expected to have the representatives from both ministry to discuss and find out ways to solve the issue especially on the discrepancies over the numbers of dilapidated schools in Sarawak. 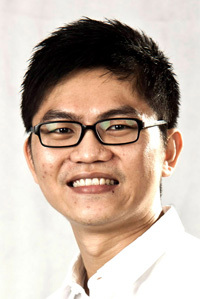 In his debate, Wong said only 206 schools in Sarawak was said to be dilapidated by the Sarawak State Education Department whereas the August House was informed that Sarawak have a total of 1,020 dilapidated schools. “I too agree with what Dr Annuar has e said during his interjection to not politicise this matter for the benefit of future Sarawakians,” said Wong adding that the lives and safety of the teacher and students are at stake when they are studying in dilapidated schools. The committee he adds will also enable everyone to share their views in an open minded scenario rather than quarrelling over the matter. “This is an urgent and important matter that both the federal and state have to put on their priority list,” he added.